Can You Freeze Yogurt and Achieve Desirable Results? 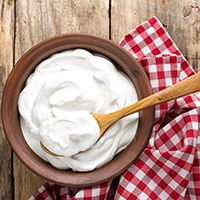 Are you looking for guidelines that answer the question – can you freeze yogurt? If so, you are in the same shoes as I was some decades ago, as I honed my culinary skills and set out to populate my prized handbook for recipes. What is important here is that asking questions and probing for answers produces results that can prove helpful to you at some point. If you set out for the stores and end up with bountiful amounts of yogurt that you cannot eat immediately, you might want to consider freezing it so that it can retain freshness and still appeal to your taste buds when you choose to eat it later. You may have already found your answer – yes, you can freeze yogurt. In this article, you’ll learn tips on freezing yogurt and how to do so properly. What Do I Do with Extra Yogurt? Receiving a gift of a bowl of yogurt will immediately set off some excitement in you, but after that, you need to give a thought to what you need to do to store it. Your flavored or plain yogurt come with colorful caps that are aesthetically appealing and can easily fit into the freezer with no fear of spillage if it hasn’t been opened. Some people prefer placing the yogurt cups upside down as a way to preserve the texture and flavor. If in any case you have opened the cups, you can go ahead and empty into another container that you close airtight before placing in the freezer. When you use containers, make sure you label the container with “best use” dates so that you don’t lose your yogurt entirely to deterioration. A step as such is pivotal in knowing if you can freeze yogurt without ruining its flavor. The Ice Cube Tray Trick. When you have smoothies in mind, it is advisable to use ice cube trays to store your yogurt. When you scoop yogurt into the ice tray, place into the freezer after that for a few hours. After, take out and place into an airtight container. When it is time to have your smoothie, pop the number of cubes you desire when you get the tray out of the freezer. Place into your blender for smoothies and pronto, you have your delight. Some are quick to add berries while putting the yogurt into the ice cube tray and this gives instant berry yogurt you can enjoy. If you have several cups of yogurt, the easier route is to place in a large bag so that you can end up sealing it tightly. Your large bag can be a gallon type or a simple nylon sack. The advantage of using this method is that if any of the cups happen to rip while in the freezer, you won’t end up with a spill. To be saved the headache of an additional chore in your kitchen is a good enough reason to have your yogurt safely preserved. But beyond this, for health reasons, you should also be careful to watch for the expiry dates on the cups so you can mark it on the pack. The other side of the coin is that when yogurt is frozen, it is impossible for it to be contaminated as long as when you defrost it, you eat it up immediate. Although many people consider yogurt safe to eat even if expired, I prefer to stay with the best practice of eating within the recommended “best use” dates. Never defrost your yogurt on countertops as doing so will leave the yogurt watery or spoiled. When you place the yogurt cups into the refrigerator for two days before you use and effectively it will defrost. Your yogurt will retain its creamy, chilled and thick hue with this approach without turning watery or warm. Using a microwave is not a preferred idea for me as I recognize that the healthy bacteria from the probiotic or starter cultures will denature thereby depriving your gut of the prized benefits. You have a leeway to store yogurt you cannot finish at once by freezing. Freezing yogurt keeps the product safe in case you want to save it for later. Some of the probiotic or starter cultures can be harmed when you freeze for long although this depends on the brand used in making your yogurt. To confirm which yogurt brand freezes well when you store, you need to buy some yogurt cups and freeze as required. If you defrost the next day, taste to confirm which retains excellent texture. This will give you an idea of the brand to buy when next you go shopping. 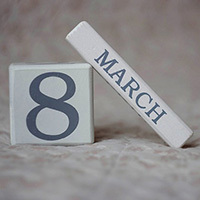 This depends on what the best use date is on the yogurt you have in your possession. The expiry date can be months away from the date of receiving, thereby giving you some slack time to store as you desire. Using the refrigerator at this stage will be safe, and all the healthy bacteria will remain intact as the extreme temperature hasn’t been introduced. At the week of expiration or a few days later, yogurt remains healthy to eat, and the healthy cultures are not denatured in any way. Though the taste might alter a bit, having it straight out of the refrigerator at this stage will give you a tastier texture than any frozen alternative. If you picked up some lessons here on the pros and cons of freezing yogurt, then I am really glad you benefited from my insight. 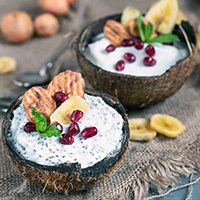 I will recommend you take a look at my article on “How to make vegan yogurt” as it provides more insight on alternatives to your everyday yogurt you might be more at home with till now. You should feel free to add your observations, comments or suggestions at the end of this page, as I really appreciate your feedback. Friends, family, and loved ones should be let in on the lessons you have learned here, and it will be worthwhile to share, post and like on your social networks today!